DARAGA, ALBAY (Sept. 25) - The 5th victim of a riding in tandem in the province of Albay in a span of one week was recorded last night in this municipality. 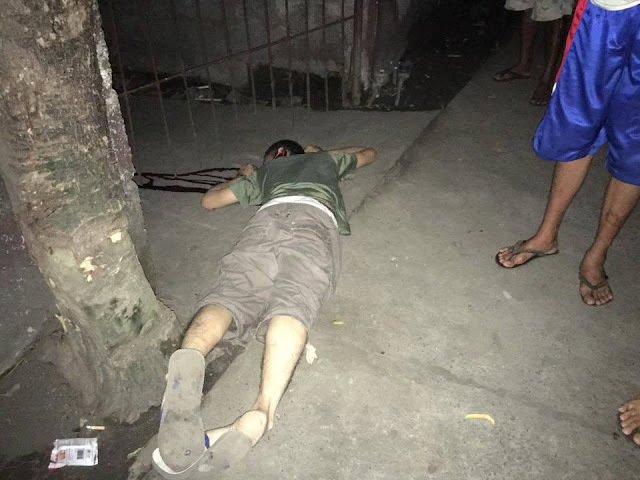 A riding in tandem shot to death cousins John Melchor Llasos y Bandojo, 36 years old, married and a resident of Purok 10, Brgy. Tagas and Marlon Estuye y del Castillo, 33 years old, single and a resident of Purok 7, of same Barangay this municipality while having a round of drinks at a streetside across the Tagas Church at around 9:30 PM. Police Supt. Elcid Roldan , Chief of Police of Daraga MPS said initial investigation disclosed that the killing is drug related based on the text messages on the recovered cell phone voluntarily surrendered by the victim’s family to the authorities. After the shooting suspects sped up towards the direction of Legazpi City. Daraga PNP is still conducting follow-up investigation as of this writing.